2019 Kawasaki W800 Cafe First Look—Kawasaki has announced they will be bringing the W800 Café Stateside next year. 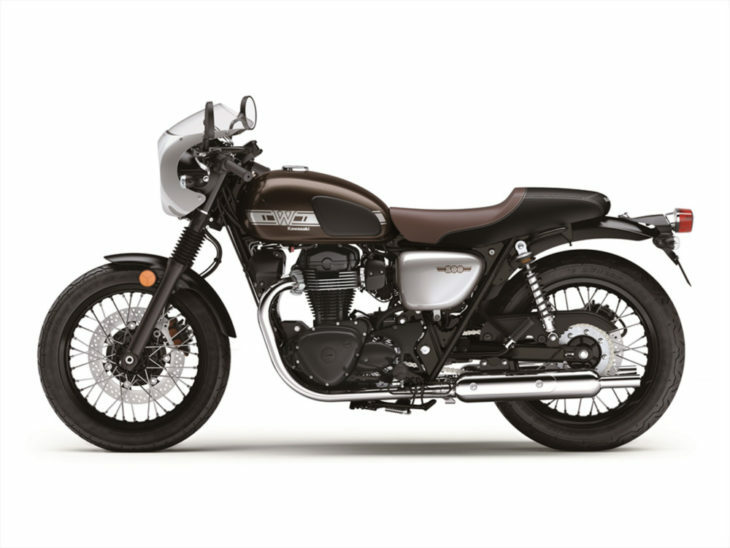 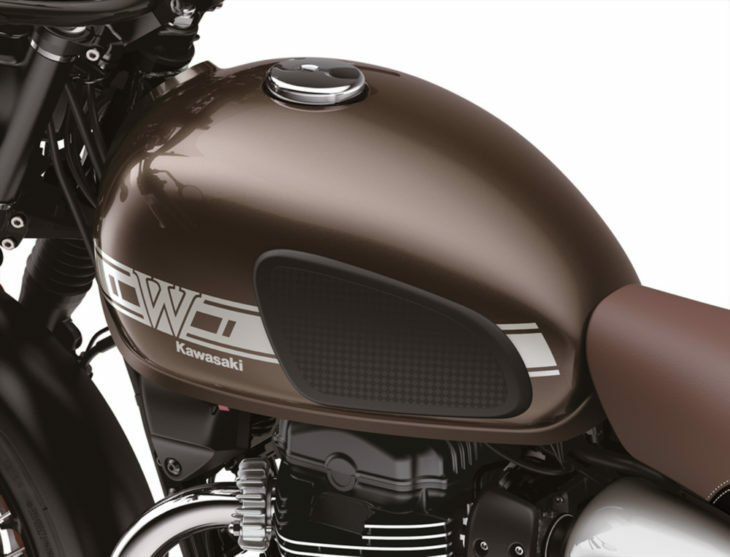 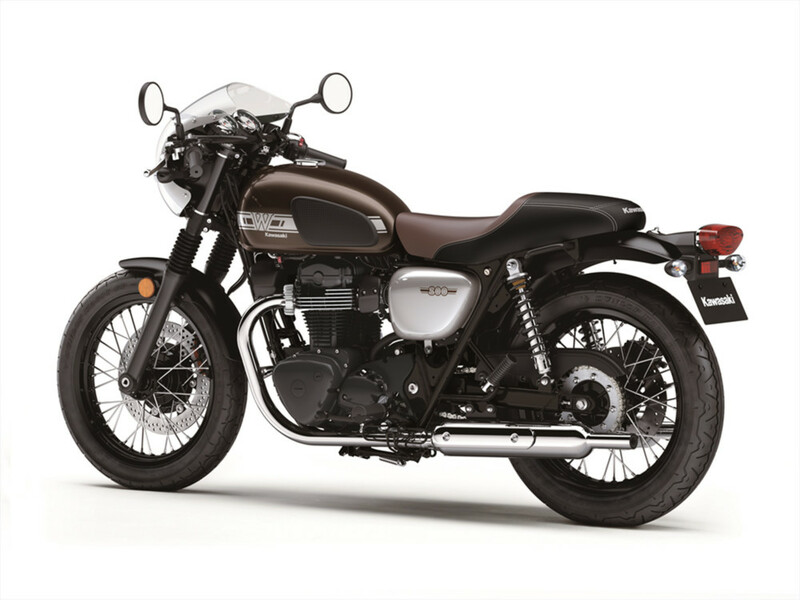 The W800 has been a feature of many other international markets but hasn’t been featured here—the W650 has—so Kawasaki now has a retro-themed roadster to go up against bikes like the Triumph Bonneville range. 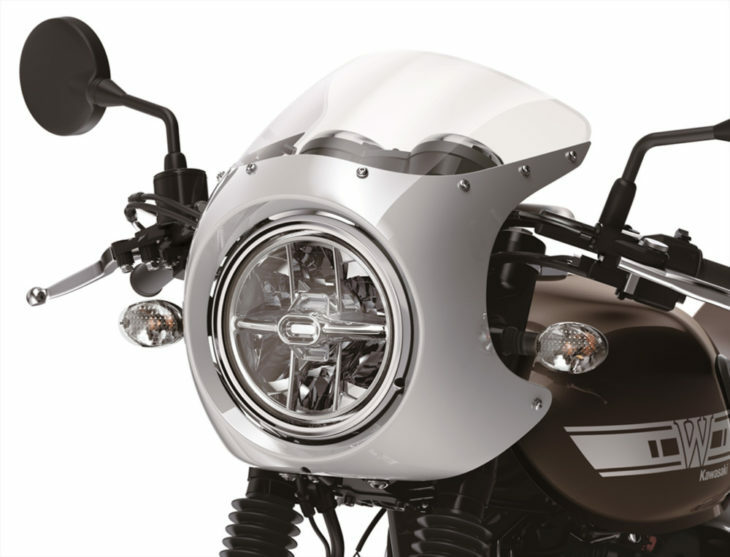 Pretty cool, hey? 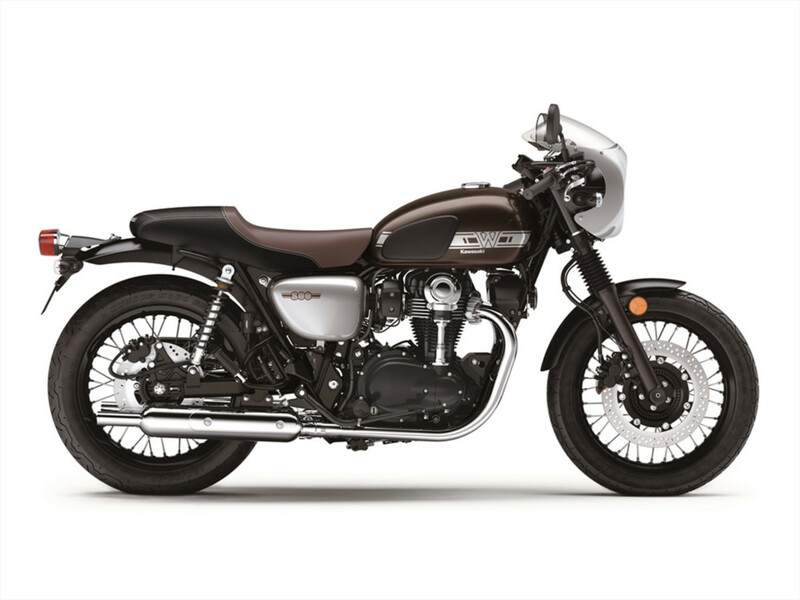 Now you can go hunting Bonnie’s on a Japanese retro cafe racer! 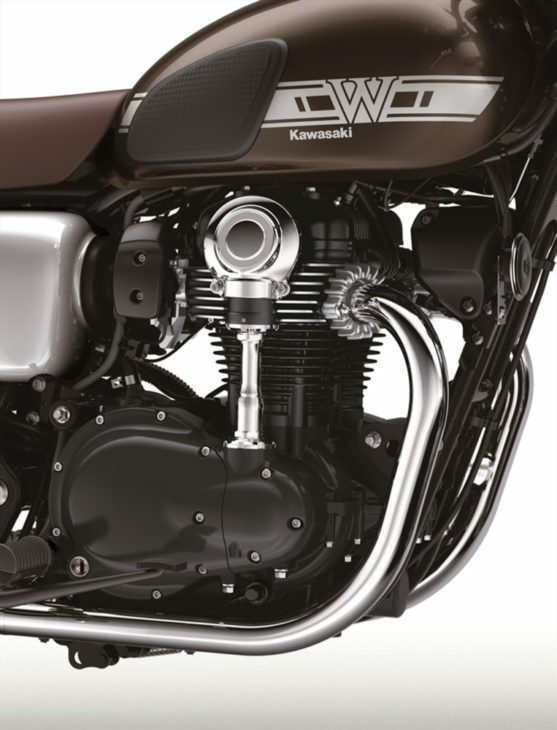 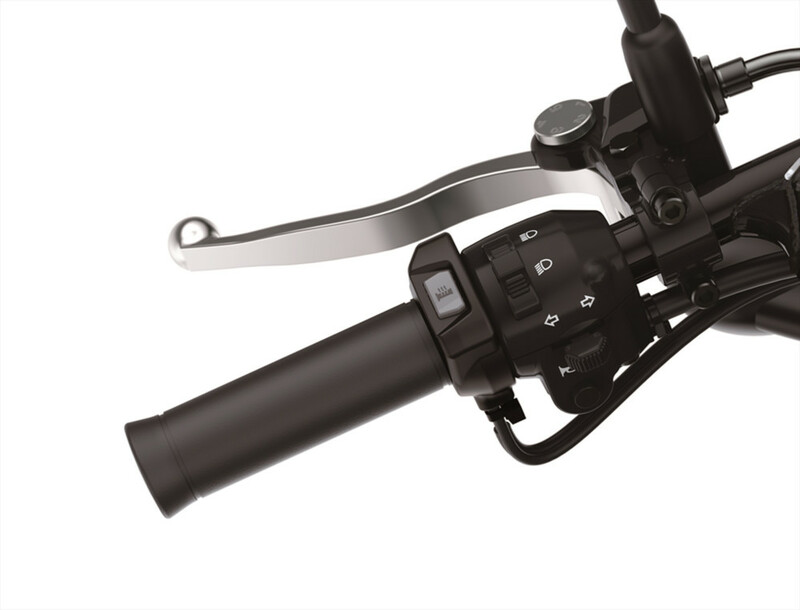 Powering the W8800 is an air-cooled, SOHC, bevel gear cam drive 773cc parallel-twin wrapped in a steel double cradle frame. 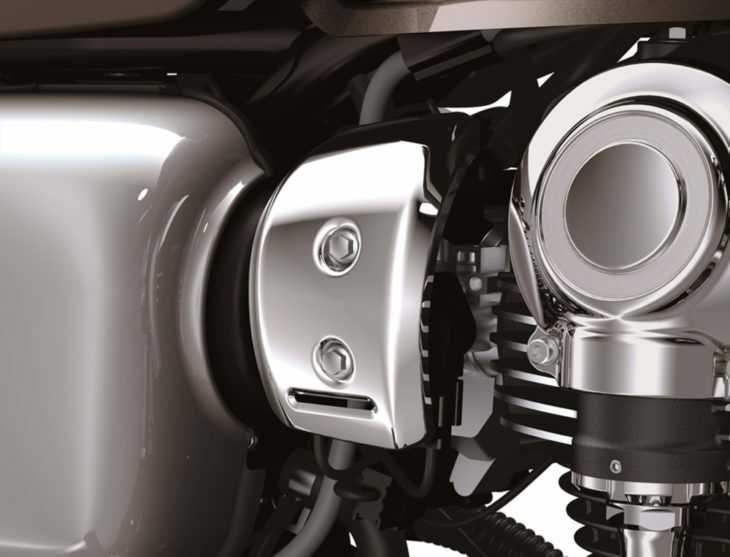 The motor gets a bore and stroke of 77.0 mm x 83.0 mm, a heavy flywheel, fuel injection, 34mm throttle bodies and long intake funnels, a five-speed gearbox and a slipper clutch. 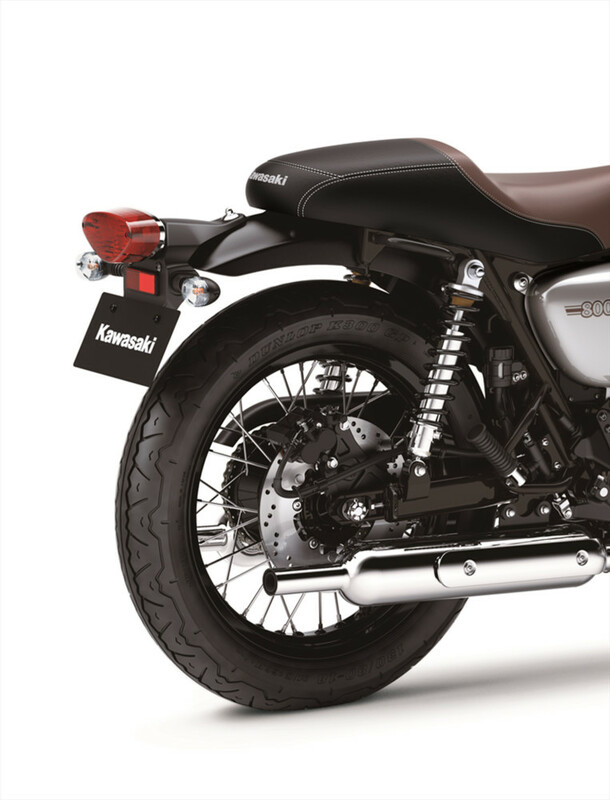 The mufflers are reminiscent of 1960s British twins, long and straight and should emit a lovely deep note on acceleration. 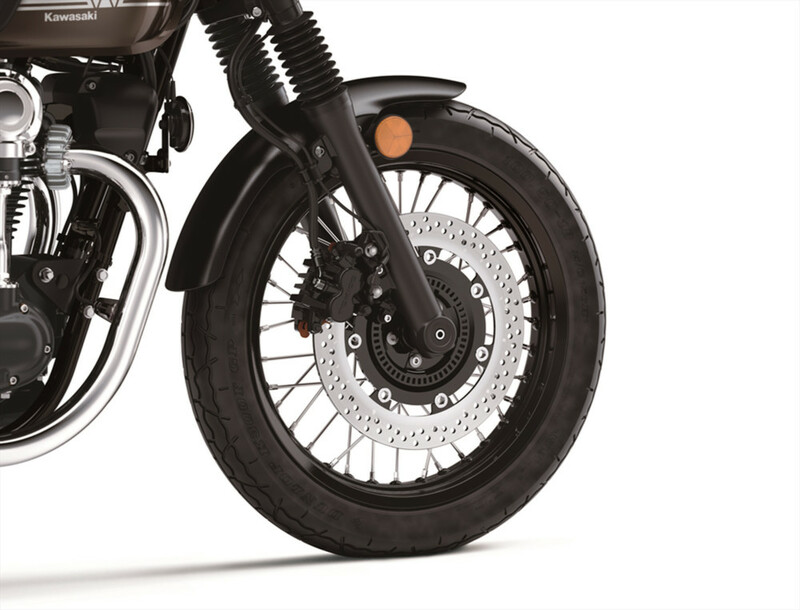 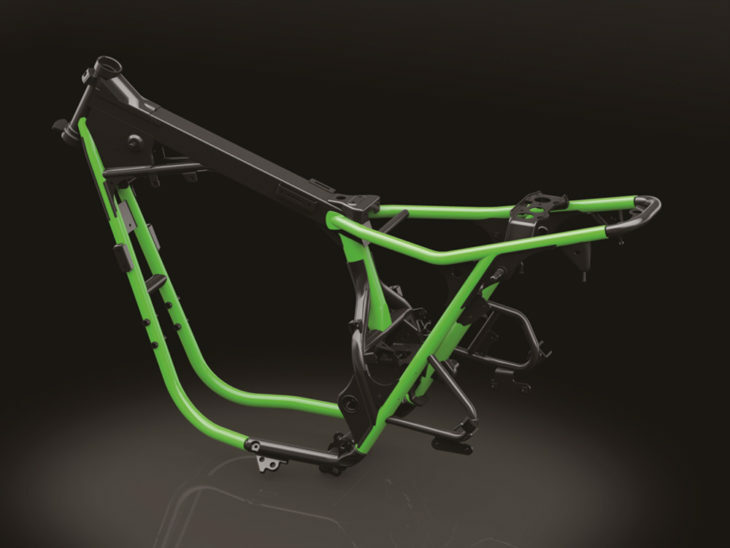 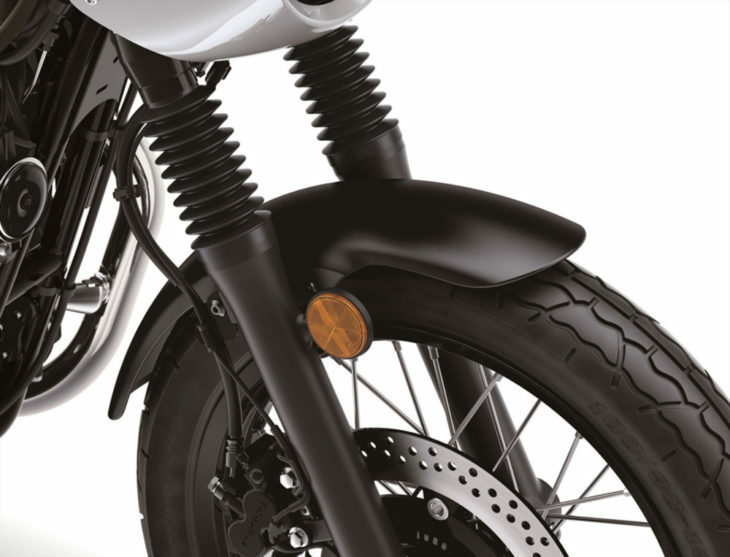 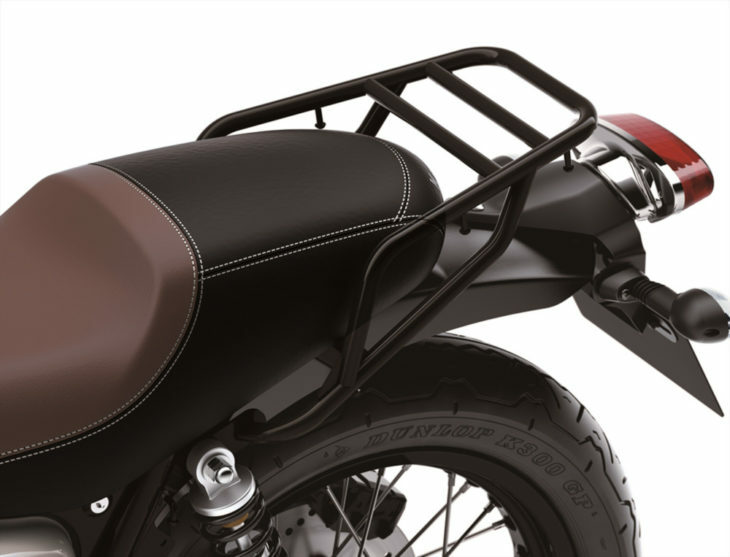 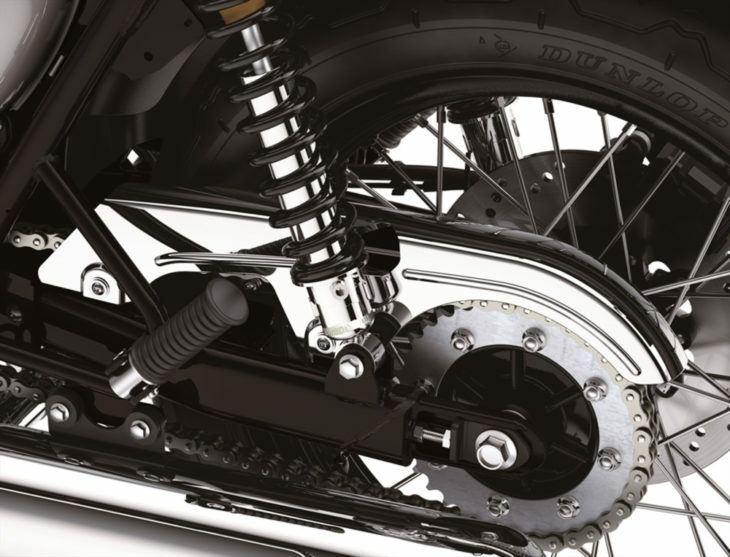 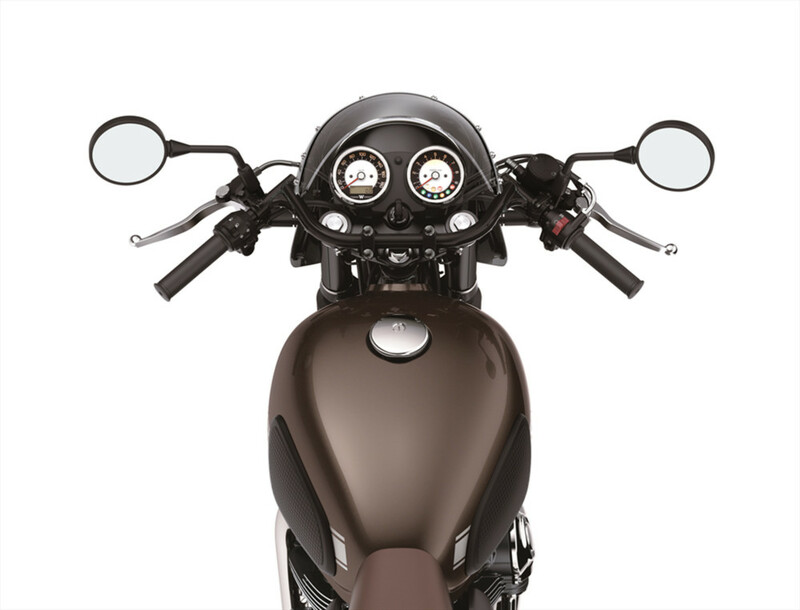 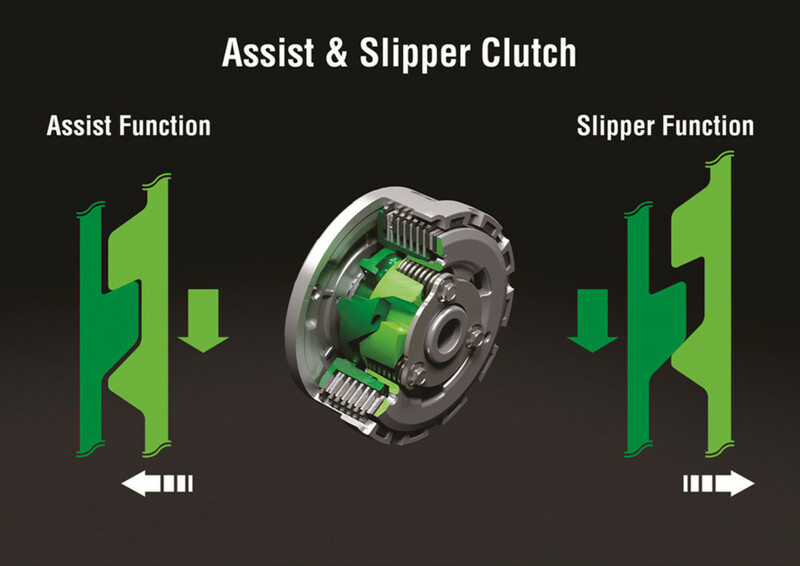 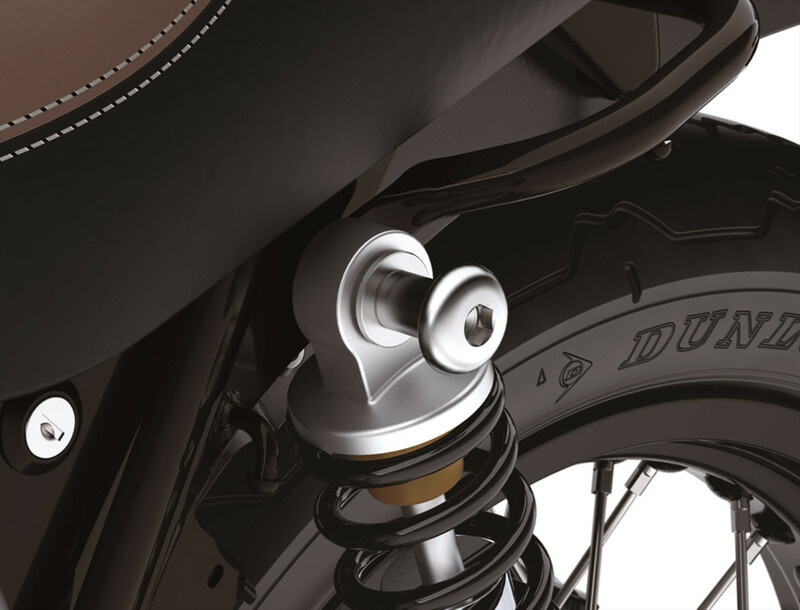 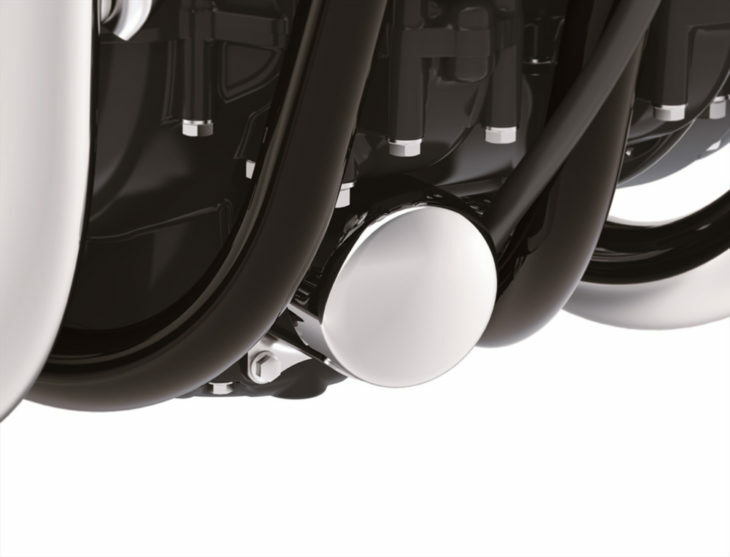 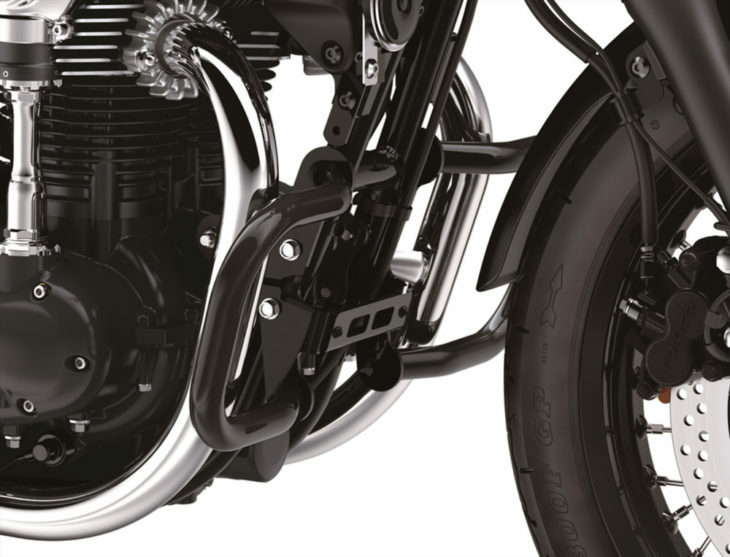 The suspension comes in the form of conventional 41mm forks and twin rear shocks, brakes are single caliper jobs front and back with ABS, and the ergos are designed to put you in that café racer stance without breaking your back too much. 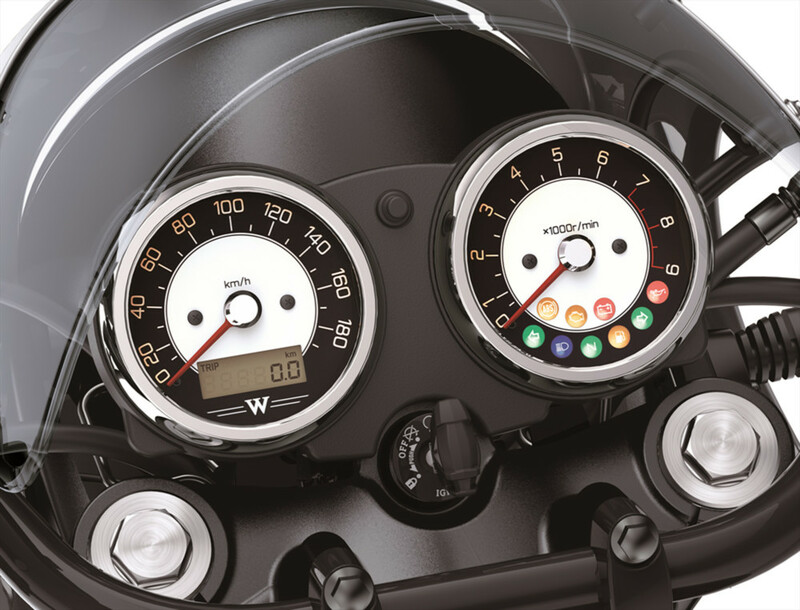 Kawasaki has used classy analog clocks with a small digital readout on the left speedo for trip readings, but overall, the cockpit looks almost as old as the bike this W800 Café is replicating in the 1966 Kawasaki W1. 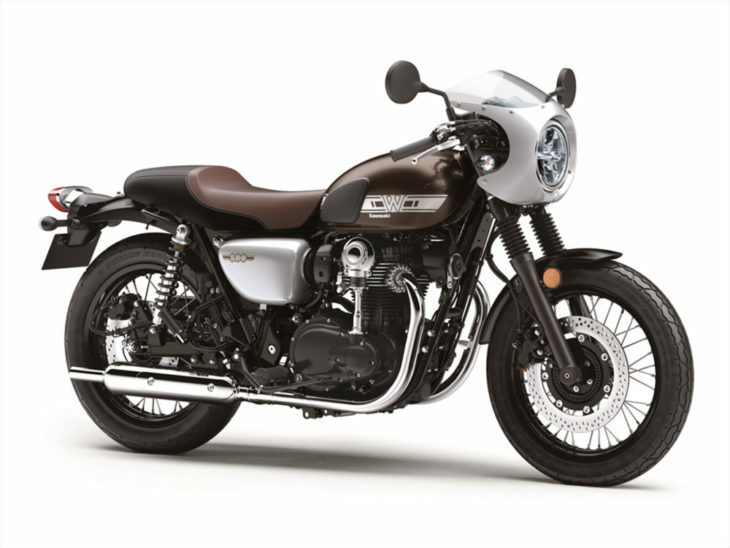 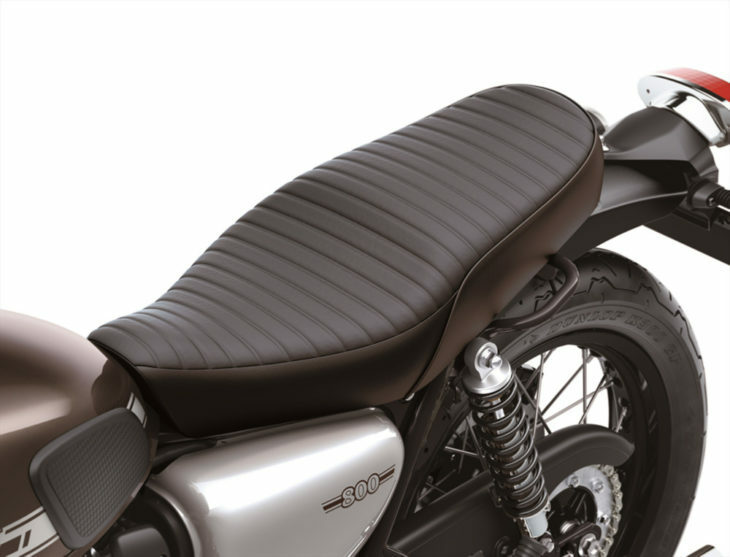 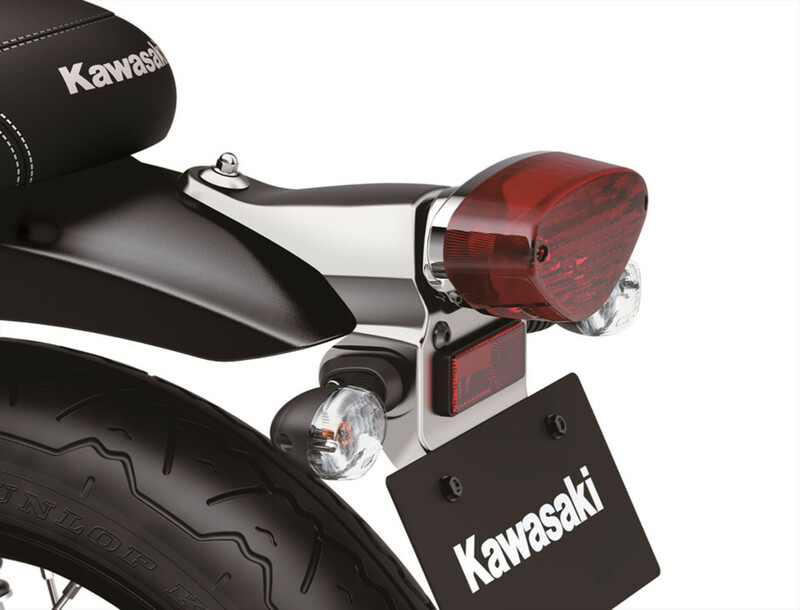 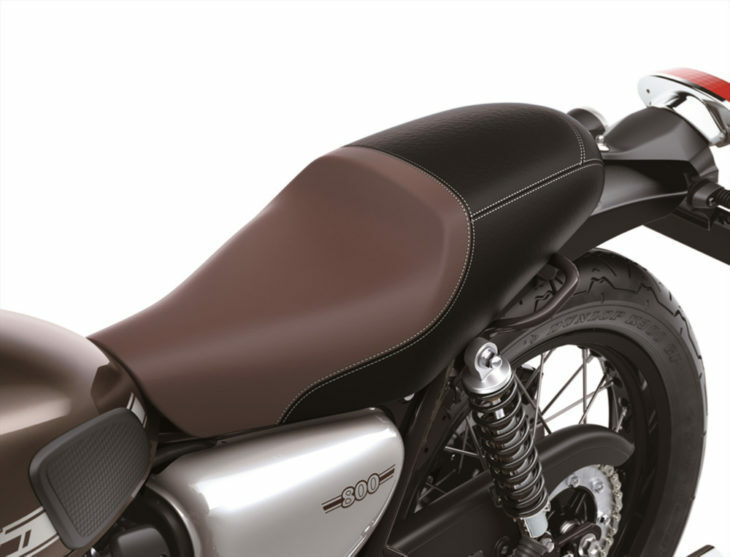 The 2019 Kawasaki W800 CAFE is available in Metallic Magnesium Gray / Galaxy Silver and will sell for an MSRP of $9799.